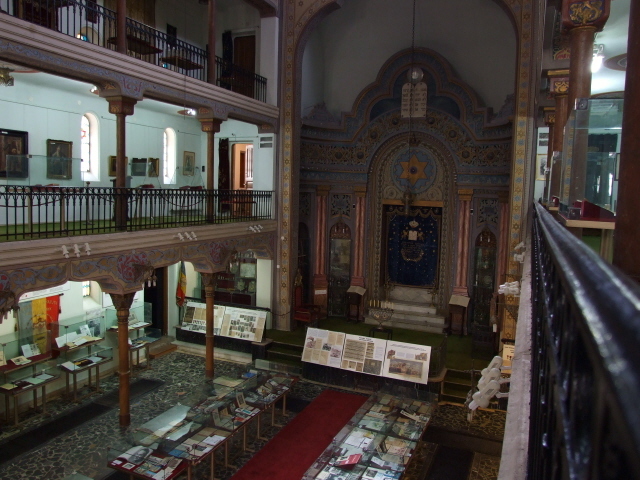 A synagogue-turned-museum in central Bucharest. Only a few parts of its contents are actually dark, but the whole museum is quite endearing. 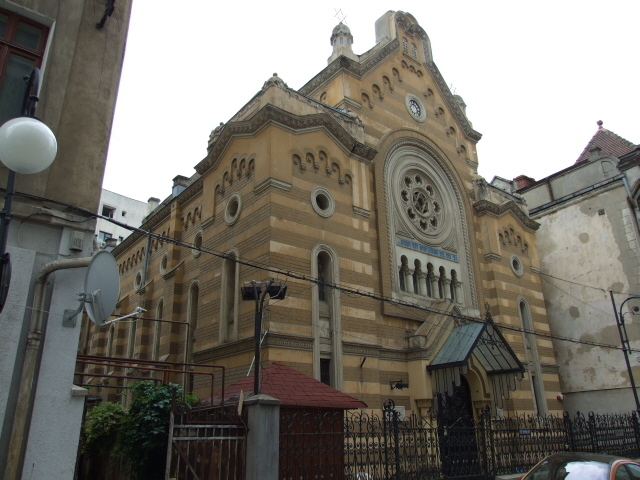 More background info: the building used to be the Tailors' Synagogue, and in 1978 it first opened its doors as the Jewish History Museum (or "History Museum of the Romanian Jews", to give it its official full title). It was very much the work of Chief-Rabbi Moses Rosen (1912-1994), whose mission it was to fight against the total disappearance of the Jewish legacy in Romania. At the time the Jewish community was not only dwindling, the Jewish identity of those still around was at risk of being forgotten. It certainly wasn't encouraged under communism. So Rosen's initiative can also be seen as resistance against the Ceausescu regime, in its own special way. It's also a miracle that even the building survived, given its location: right in the historic centre of the city in a neighbourhood that was almost completely levelled when Ceausescu realized his crazily megalomaniacal "rebuilding" of central Bucharest. The synagogue is only a stone's throw away from what became B-dul Unirii, the central boulevard of this brutalist architectural project. 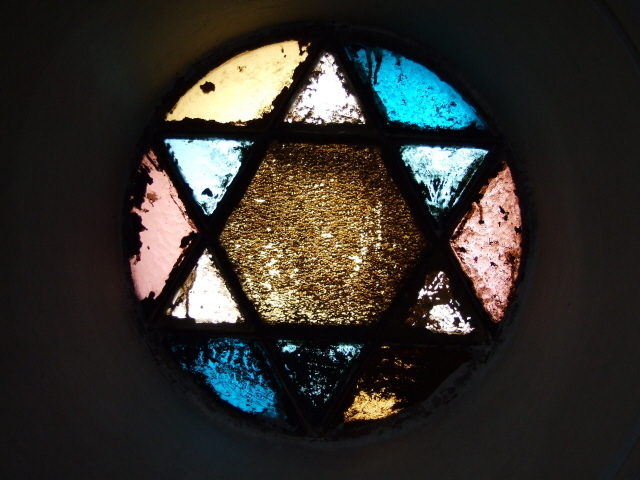 Yet survive it did, and today the meanwhile revamped museum provides a rare insight into Romanian Jewish history. What there is to see: first of all, the building itself is worth seeing, and the painted ceiling is particularly impressive. The museum's collection consists largely of documentation of the Jewish presence in Romania and the contribution Jews made to the arts, to science and to Romanian society. In addition there's all manner of religious objects, paintings, documents, models of other synagogues, etc. But for the dark tourist the main attraction has to be the memorial room at the back of the main hall to the left. It would easily be missed if it wasn't for a sign over the doorway marking it "In Memoriam – the martyrdom of the Jews from Romania 1940-1944". When I visited (in May 2009) the room was dark, so you had to switch on the lights first. One of the ladies working in the museum rushed to help in this and also offered to explain the background to us. She gave a brief account – in pretty decent English – of the deportations of the Romanian Jews to Transnistria (see also under Romania), i.e. the very Romanian element of the Holocaust and one of its least known chapters. The exhibits in this small dark room are suitably depressing. 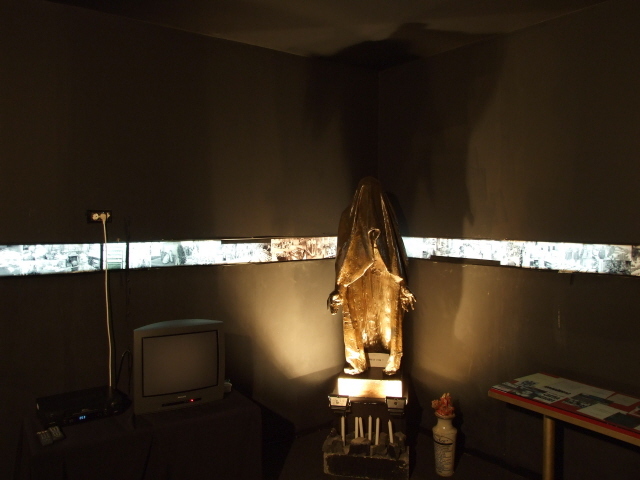 A grim faceless statue, rows of photos of the deportations, pogroms and massacres, accompanied by a few text panels. These are all in Romanian and (mostly decent) English. There is also a chronological chart of all the anti-Semitic measures of the time. A small, but particularly sobering sign simply puts things into perspective as regards the death toll of WWII: while 1 out of every 22 Russians, 1 out of every 25 Germans, 1 out of every 200 Italians perished, it was two out of every three Jews. It doesn't really matter whether these figures are 100% accurate; it's the discrepancy in the proportions that counts. There may not be particularly much in the way of detailed information, but the overall impact is as grim as you would expect. The rest of the museum naturally isn't quite so dark in nature, though an oppressive sense of sadness permeates the entire place. There's a certain end-of-an-era feel about it too. As the museum warden pointed out: there are now just a few thousand Jews left in Romania, and most of them are of the older generation. 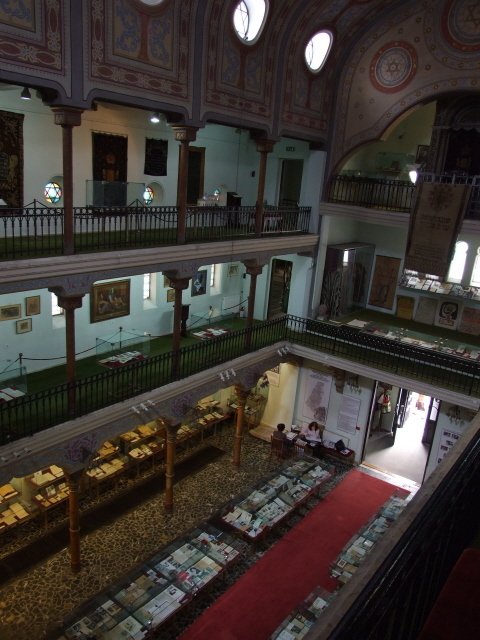 So this museum is about the only place where the memory of Romania's Jewish past is kept alive … to a degree. For the dark tourist visiting Bucharest, this small but endearing museum should definitely be worked into an itinerary, esp. when staying in the city for more than just a day. Location: in the south of Bucharest's historic centre (or what's left of it), on Str Mamulari 3, just behind the housing blocks of B-dul Unirii and near Piata Unirii, a bit behind the shopping centre at B-dul Corneliu Coposu. Access and costs: a bit hidden, but not too tricky to find, admission is nominally free, but donations are welcome. Details: access from Piata Unirii, or B-dul Unirii is a bit tricky, you'd have to either walk eastwards along B-dul Unirii up to the corner of B-dul Mircea Voda and then fiddle through to the left, along Sfanta Vineri, then it's the second street on the left. Or start from the north-eastern end of Piata Unirii and walk towards B-dul Corneliu Coposu and either fiddle through past the entrance to the Carrefour supermarket and the parallel side street and then walk up Str Mamulari from the bottom end; or first walk past the shopping centre and turn left into Sfanta Vineri to get to the top of Str Mamulari. Security is not as tight here as it can be at other Jewish museums (or the Palace of Parliament), but you still have to wait for a guard on duty to open the locked gate for you. Admission to the museum is nominally free of charge, but donations are encouraged. Going by the contents of the big perspex donations box, 10 Lei appears to be a standard amount (there were also coins as well as some larger notes, but as far as I could make out tenners were vastly in the majority). Opening times: daily from 9 a.m. to 2 p.m. (only to 1 p.m. on Fridays and Sundays) – except Saturdays. Note that some guidebooks erroneously give Monday as the day the museum is closed. But as it's a Jewish museum it's rather, and much more predictably so, closed on Saturdays. The museum is not suitable for wheelchairs. Photography was allowed when I visited and asked – with the exception of the paintings on the upstairs gallery.